Researchers in the faculty of business at the UNB Saint John are working to create a comprehensive platform that will allow food banks to have a more integrated relationship with donors, volunteers, visitors and social services. Drs. 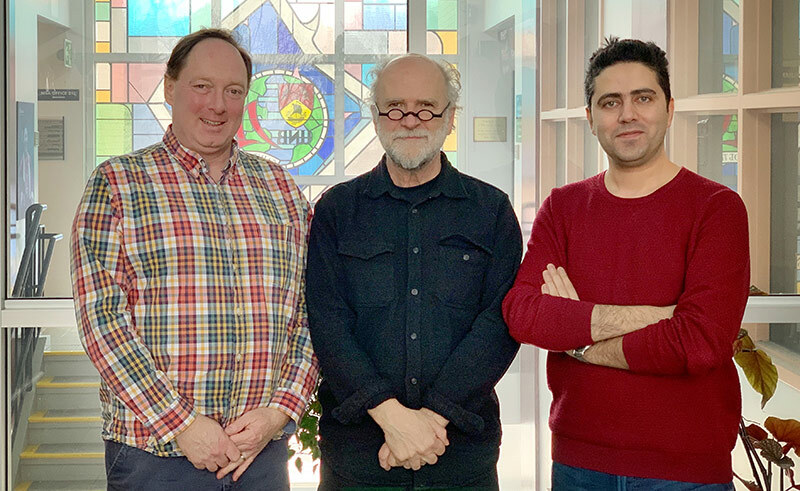 Rob Moir and Greg Fleet are working with PhD candidate Milad Pirayegar to create a platform that will provide real-time data about low-income families to better support food banks and their clients. This web-based online platform, aptly named Smart Food Security, will also enable food banks to enhance their services by developing more concise inventory and management systems and provide a messaging network for food banks, shelters, healthcare and non-governmental organizations and other service providers. Once the research team collects the data, measures traffic and analyzes patterns they will be able to create the snapshot needed to implement phase three, which will involve connecting services and creating an electronic network. Dr. Fleet says that by implementing the smart cities concept into their project, they will be able to develop systematic ways of connecting social organizations to those that need it most. The project received $145,000 in combined funding and investments, which included $25,000 from Enterprise Saint John’s Smart and Connected Data Project’s Innovation Challenge. The purpose of the challenge was to fund businesses that solve community issues by using data or connected technology. Other funding sources include $50,000 from the Industrial Research Assistance Program, $25,000 from the New Brunswick Innovation Foundation’s Emerging Projects fund and $45,000 from Mitacs. Photo: Dr. Rob Moir, Dr. Greg Fleet and Milad Pirayegar. Credit: Hana Qiu.